The Middle Platonists and Neoplatonists continued to expand Plato's philosophy. 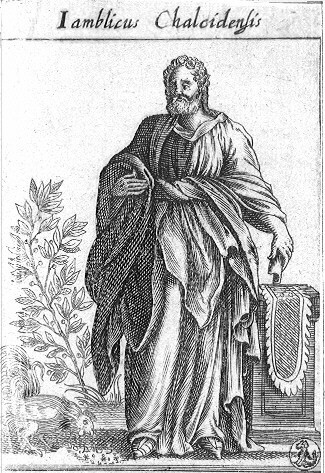 The crucial thinker in this ever-evolving melting pot of Platonism is Iamblichus, who lived during a time of major crisis in ancient philosophy. The world was changing. Christianity was coming to the fore, presenting what to pagan philosophers seemed like new and impious doctrines. ... Iamblichus presented a unified theory of paganism. He not only saw Plato as a Pythagorean, but he saw both philosophers (and indeed all pagan Greek philosophers, with the exception of the materialists) as part of a continuing source of true knowledge. His unified theory included not only Greek philosophers and poets, but also Egyptians, Chaldeans, and other non-Greek pagans. All were teaching the same Truth, which the upstart Christians had abandoned. John F. Finamore, Professor and Chair, Department of Classics, University of Iowa, President of the U.S. Section of the International Society of Neoplatonic Studies.